While working on another part of the bike I started looking for a clunking sound that occurred when I turned the bars hard right. 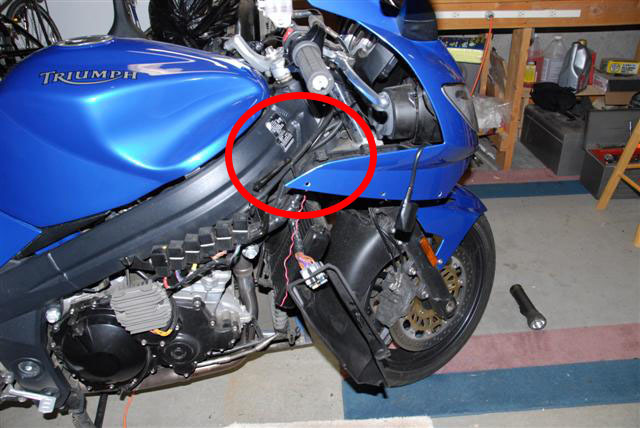 The sound was coming from the clutch cable rubbing on a guide that was attached to the right side of the water radiator. 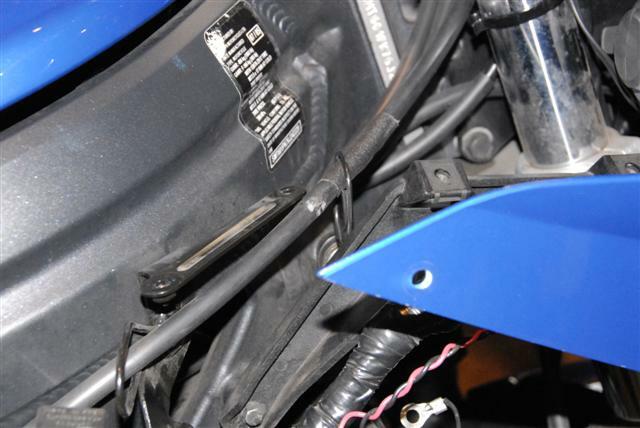 The guide is a loop of wire that attaches to the bike using an upper right attachment point of the water radiator. 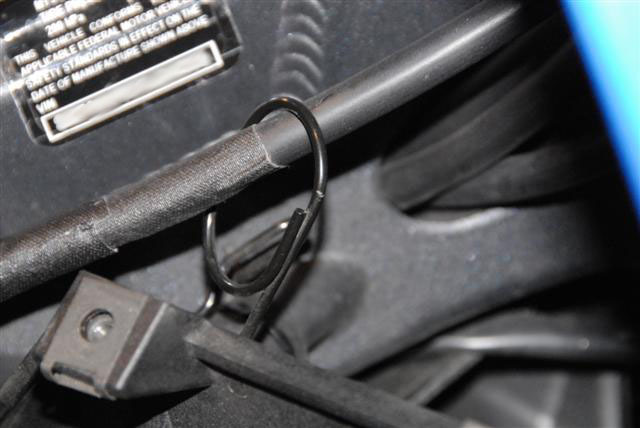 The welded end of the loop was digging a hole in the cable’s jacket. Bummer. I wrapped the jacket in gaffer’s tape (high quality cloth duct tape) and will have the dealer look at it next time I have it in there. If you have a Sprint (or another Triumph) you might want to look at yours to see if it is doing the same thing. Note that in the photo above, the guide has been taken off its mounting point and moved to show the hole it has made. This photo shows the retaining loop, still not attached to where it should be. 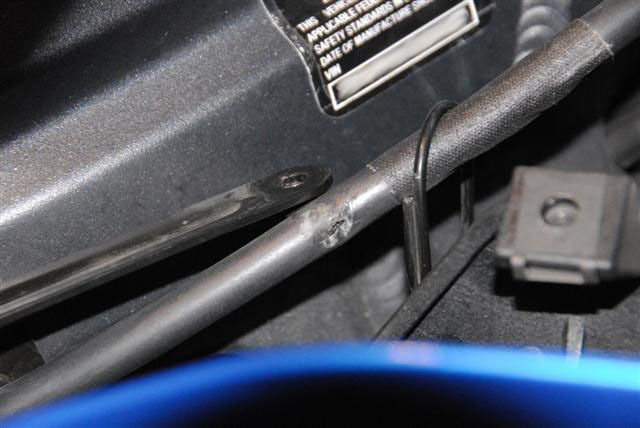 Notice the end of the wire – that is what is chewing the hole in the cable jacket. I have put the gaffer’s tape on the jacket to protect it until I can get the dealer to do something permanent. UPDATE – Never did get to the dealer (they are a long way away and not any particularly good roads). Clutch still works. That G-tape is awesome. Go buy some.